This will be a short one - with a few really great pictures, although. 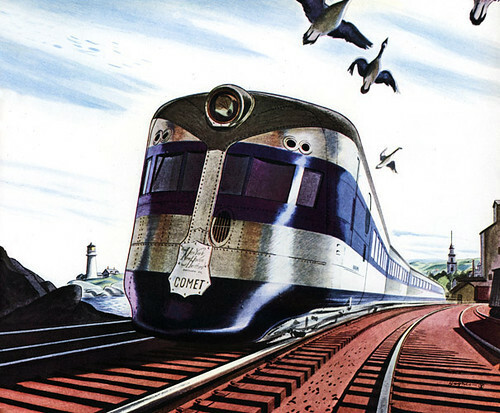 A company once known as "world's greatest travel system" had a lot to advertise. 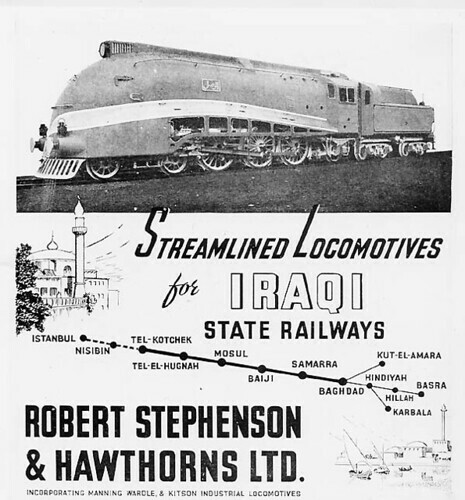 When I read that one of these locomotives was pressed into service in 1965, I could hardly believe my eyes. 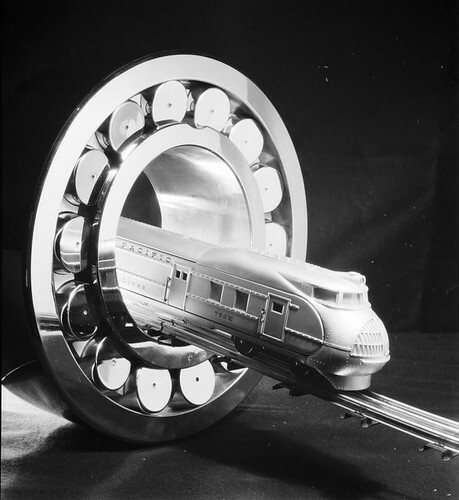 This Sunday, our streamliner is small, electric-powered and not too fast. Once upon a time in the Middle East, there were mammoth-like creatures spreading steam and thirsty for water. Yes, she's famous. 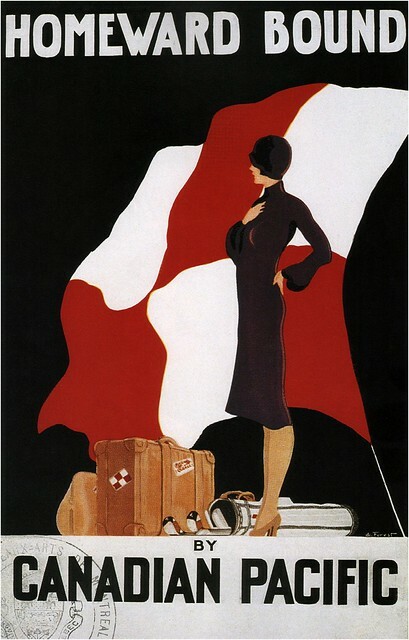 But it's no reason for her exclusion from our streamline line-up. 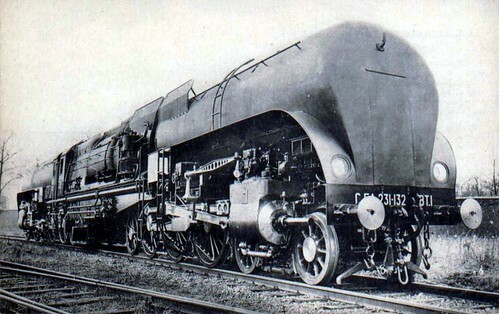 A steam wonder of the Diesel Era: streamline Garratt locomotive. 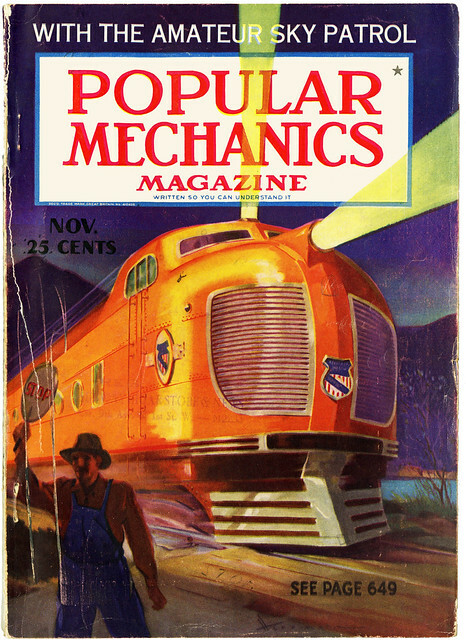 If you think this column has run out of steam locomotives, you're totally wrong. 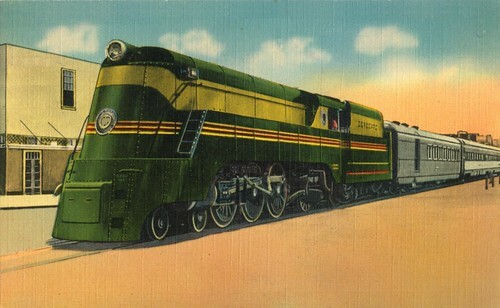 Another diesel train featured in our old Flying Americans article: the GM&N (later GM&O) Rebel. 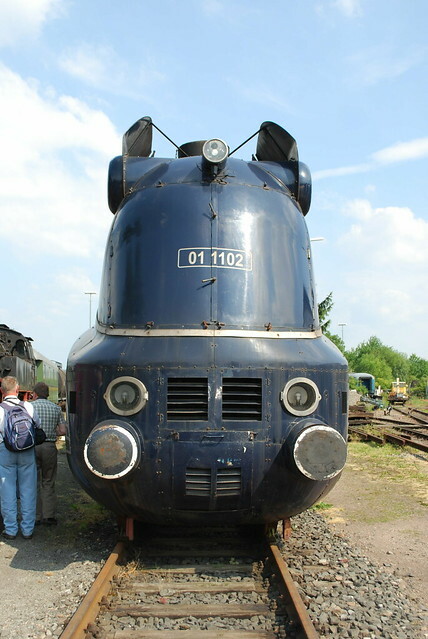 Meet the fastest railcar in Poland - diesel-powered indeed. 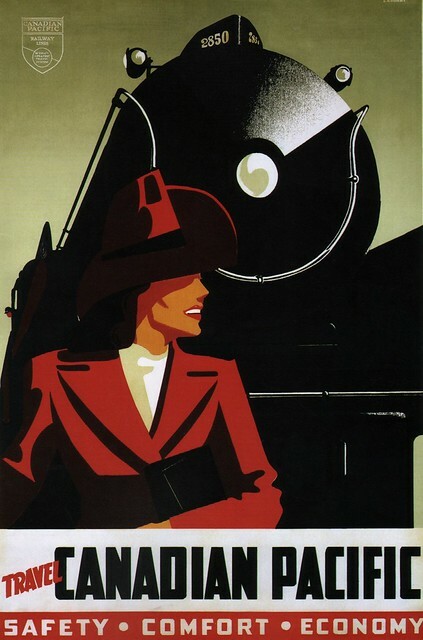 Luxtorpeda was a common name of a famous Polish train, which ran on some of the most important rail routes of Poland in the 1930s. 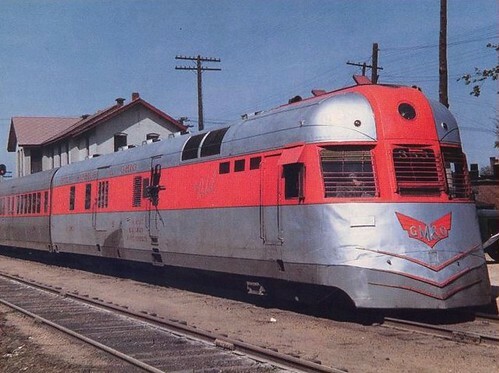 A Luxtorpeda consisted of a single, first-class only railcar, with its own internal combustion engine. 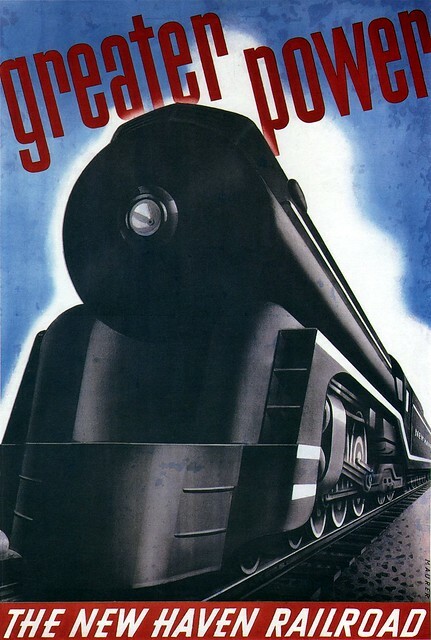 Sunday Streamline #61: More Power! How many horses a railroad needs to haul a full-size train? Not less than twenty-four hundred! 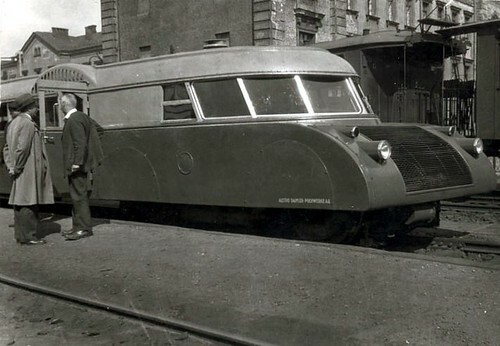 This streamliner was supposed to become the Third Reich's standard express locomotive. 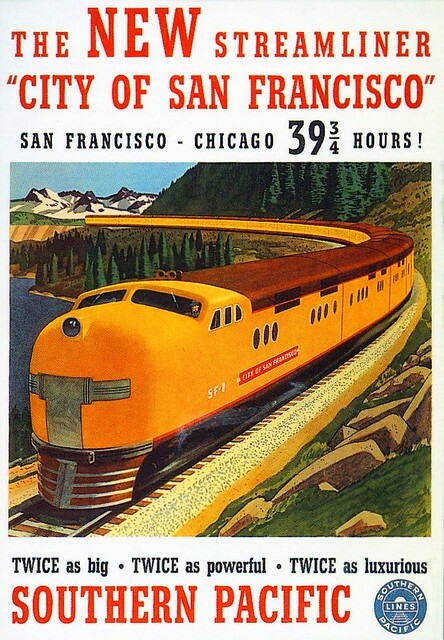 The Union Pacific history is surely the best showcase for diesel trains development. That is the Sir Winston Dugan*. 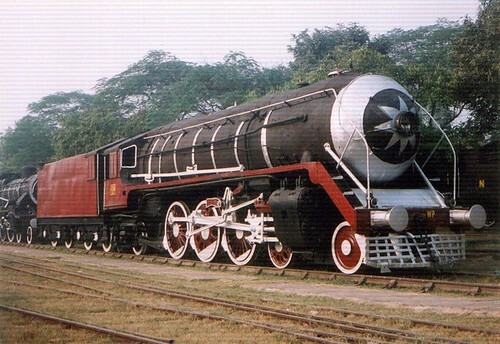 Numbered 620 (and first of its class - class 620), it had a chrome grate over the smokebox to "emulate" the grills on automobiles of the time (and was the only loco given this treatment). It was dark green with yellow stripes. This is a short story of two steam locomotives, unsung in their day.